I have been a LabRadar doppler chronograph user for almost two years now, and I have found it to be a reliable tool. The setup is very simple and does not require the same back and forth alignment of the unit and firearm as required with an optical chronograph. The LabRadar works in any lighting conditions and has proven to be reliable, albeit with a slight learning curve. Of course, the LabRadar is more expensive than all other chronographs on the market, which is why many folks choose the also highly regarded MagnetoSpeed chronograph systems. 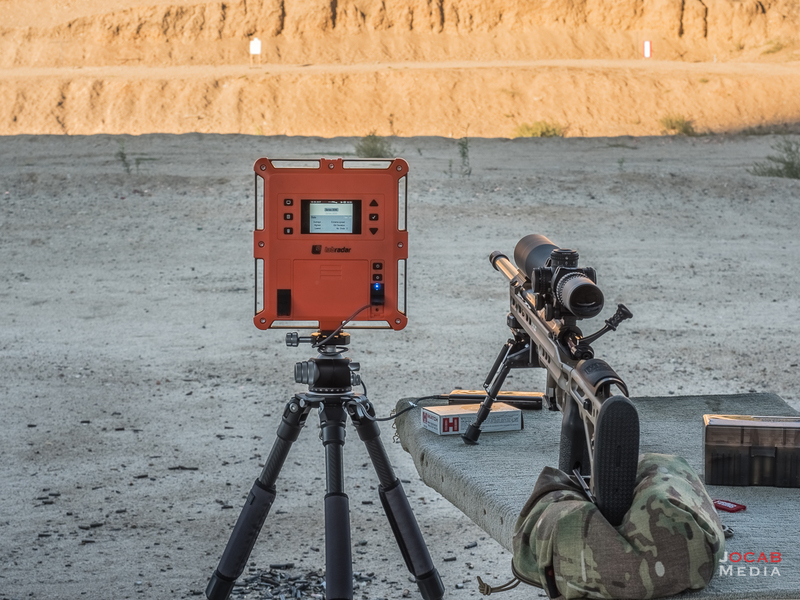 The MagnetoSpeed relies on electromagnetic sensors to detect the bullet as it exits the muzzle, which means the MagnetoSpeed is also not susceptible to lighting conditions. 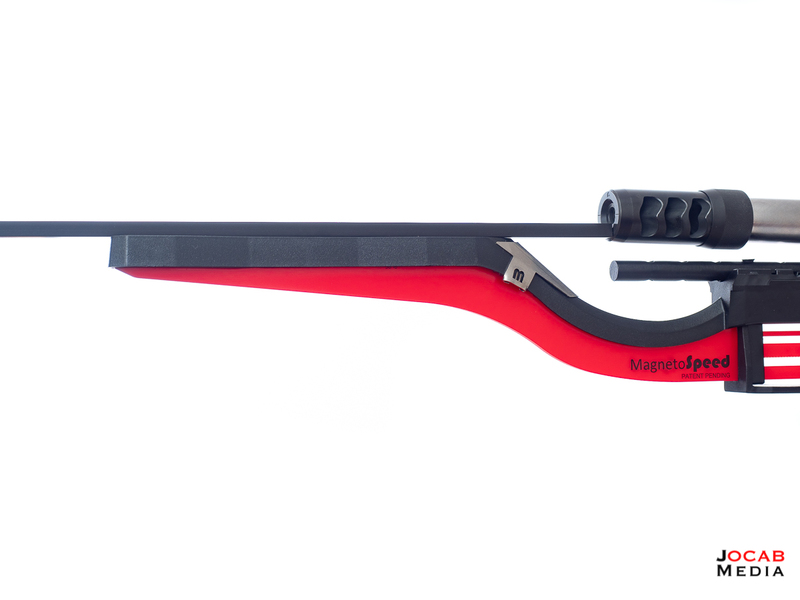 The most expensive version of the MagnetoSpeed is approximately two-thirds the cost of a LabRadar, and a more basic model of the MagnetoSpeed is less than a third of the cost of a LabRadar. 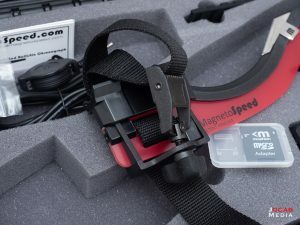 Thus, the MagnetoSpeed is very popular among shooters. 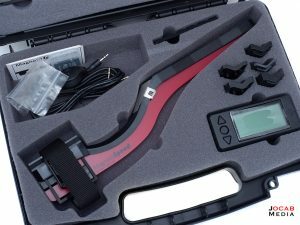 I had no real interest in the MagnetoSpeed after acquiring and using the LabRadar. But sometime in the middle of 2017, Sniper’s Hide posted an interview with David Tubb at the King of 2 Mile (KO2M) event. In the interview, David Tubb shows his competition rig for this event. 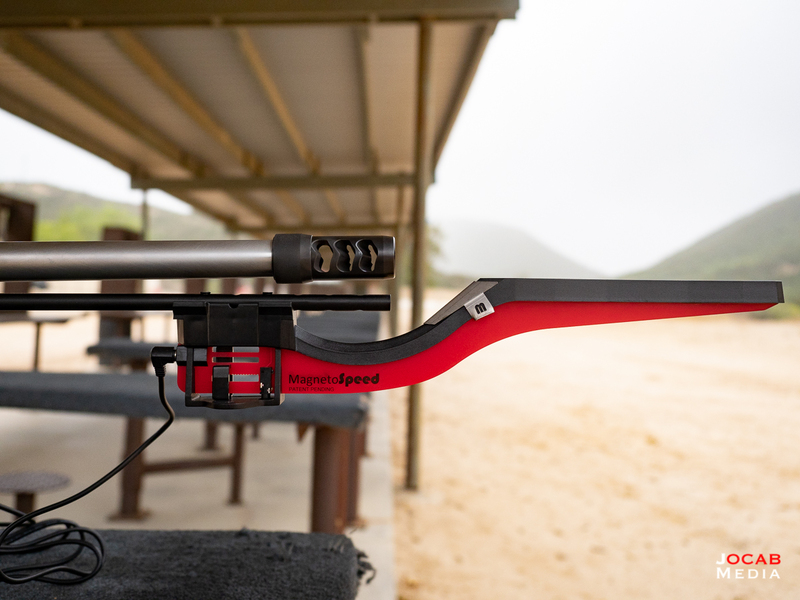 The rifle in question is the Tubb Adaptive Target Rifle, which is an evolution of his famous Tubb 2000 rifle system. But what immediately caught my eye is the MagnetoSpeed chronograph unit he had mounted directly to the chassis forend tube. 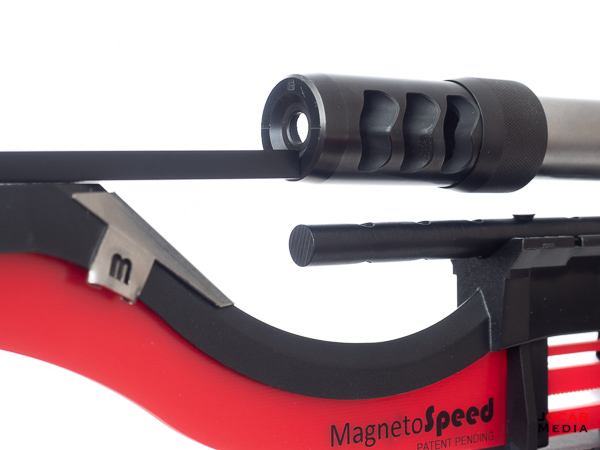 The MagnetoSpeed is designed to strap directly to the barrel, which is why some folks such as myself, shy away from the MagnetoSpeed. 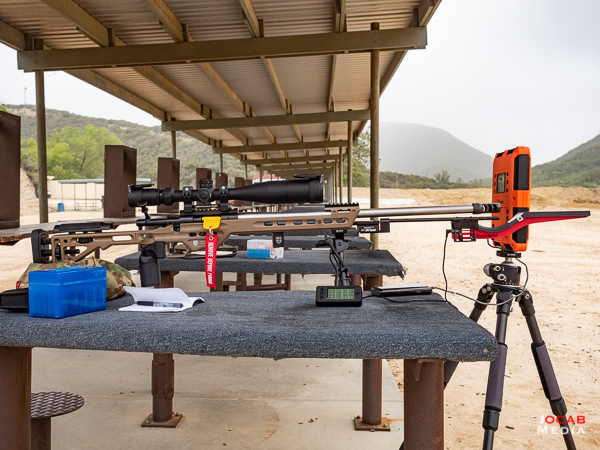 Attaching the device to the barrel can add an unmeasurable variable to accuracy/precision of a rifle, so shooting groups while measuring muzzle velocity with the MagnetoSpeed can be an issue. Anyway, the concept of chassis (or stock) mounting the MagnetoSpeed chronograph intrigued me immensely. I researched the Internet for some possible solutions, but did not see any attractive solutions at the time. Fast-forward to the end of 2017 when I had pretty much completed my 2017 Precision Rifle Project on an American Rifle Company Mausingfield action. Coincidentally, shortly after the David Tubb interview was published, MasterPiece Arms (MPA) had revealed a MagnetoSpeed mount specifically for their BA chassis systems that could accept their spigot mount accessory. Since I now had a rifle built on the MPA BA Competition Chassis, this looked like an interesting option for me. But my desire to try out this type of setup waned, especially since I did not need the MagnetoSpeed. The urge to want to try a chassis mounted MagnetoSpeed was out of curiosity, not out of necessity. A couple months ago, I received a coupon from Brownells in email for 10% off and free shipping. I wasn’t really needing anything at the time, but noticed that the MagnetoSpeed V3 was discounted below the regular cost due to my C&R FFL on file (Brownells still recognizes Curio and Relic FFL for their FFL discount). So I decided to use the 10% off coupon and was able to get the MagnetoSpeed V3 for a respectable price. After that, acquiring the mounts and adapters from MasterPiece Arms to chassis mount the MagnetoSpeed to my BA Competition Chassis was an afterthought. 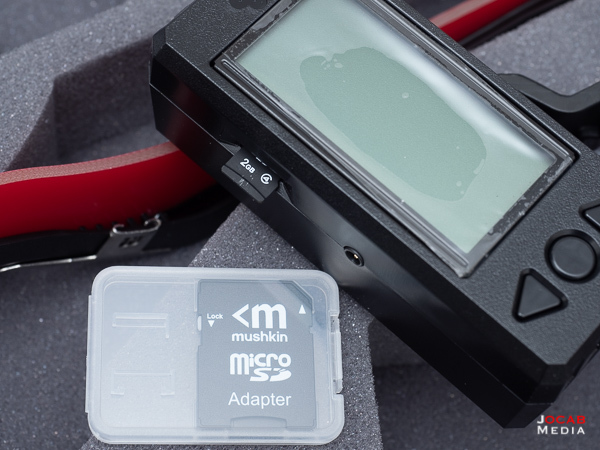 As far as the MagnetoSpeed V3 Ballistic Chronograph, it was packaged in a plastic hard case with all of the necessary items to use it from the get go, assuming you want to use it as intended by cinching it to the barrel. The MagnetoSpeed V3 display is the controls for the actual sensors in the bayonet and writes data to a MicroSD memory card that is included with the kit. 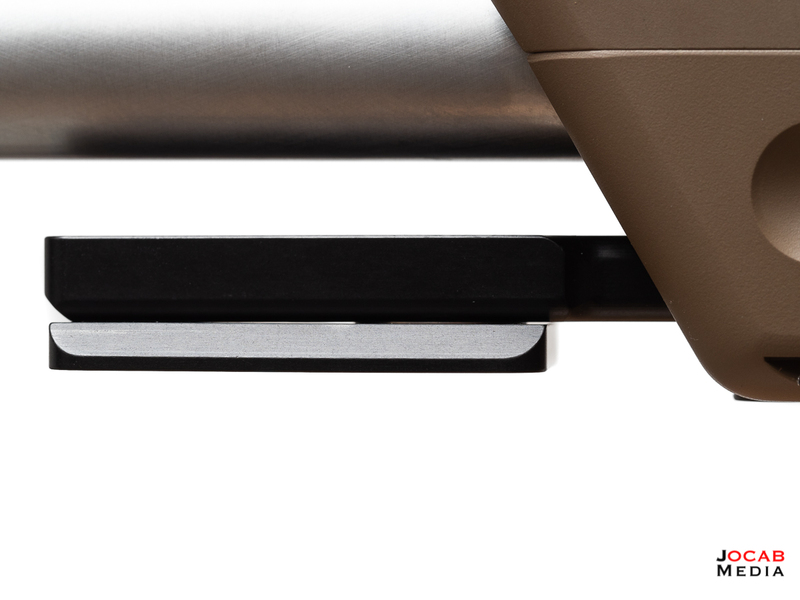 The MPA Spigot Mount attaches to the MPA chassis. Similar to the spigot adapter on an Accuracy International chassis, this provides a mount point further forward of the forend. In this case, it adds a section for Picatinny MIL-STD-1913 accessories. But since the MPA RAT Magnetospeed Adaptor uses the MPA “Rapid Adjustment Technology” system (the MPA marketing term for the Arca-Swiss dovetail), the MPA Spigot Mount must be converted to accept Arca-Swiss, which is why the MPA RAT Dovetail Adapter Plate is required. I wish that instead of making you spend more to buy the Arca-Swiss plate to convert the Spigot Mount with the Picatinny section, MPA would simply sell the Spigot Mount with the Arca-Swiss plate. After the Spigot Mount is converted to accept Arca-Swiss, or the MPA RAT accessories, then the chassis will accept the MPA MagnetoSpeed Mount. 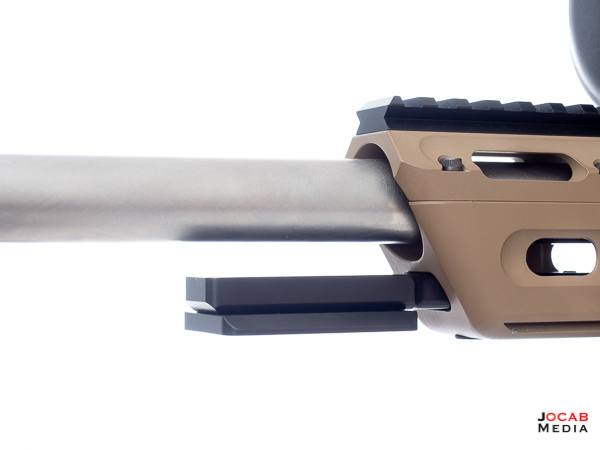 The barrel cinch strap must be removed from the MagnetoSpeed bayonet. Once removed, the bayonet is then directly screwed to the MPA MagnetoSpeed mount. No bayonet spacers are used and the bayonet is still a little lower than what the documentation indicates as the ideal position with respect to the bore line. Using the alignment tool, the bayonet is supposed to sit in such a manner that the alignment tool is right below the edge of the bore line. 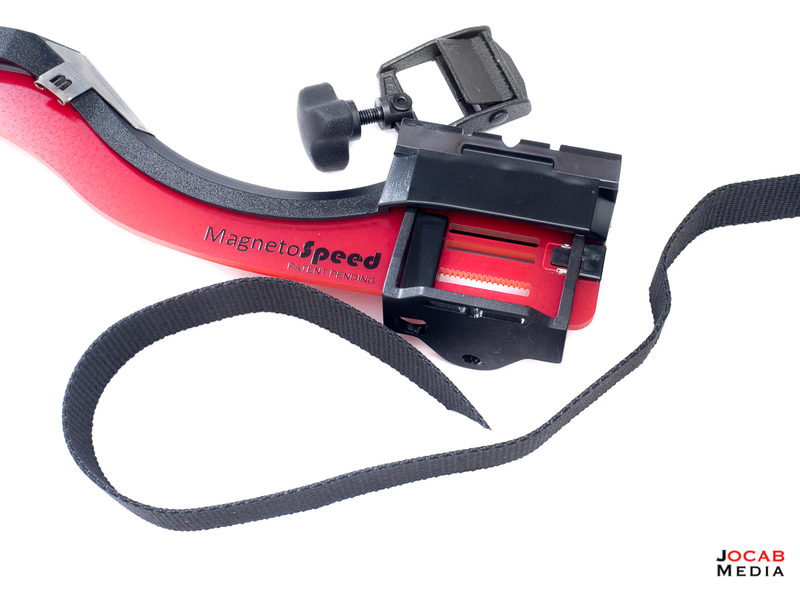 As you can see above, the MPA MagnetoSpeed mount appears to angle away from the bore line. I had concerns about this, but decided to wait until I live fire tested it at the range before putting more worry into it. 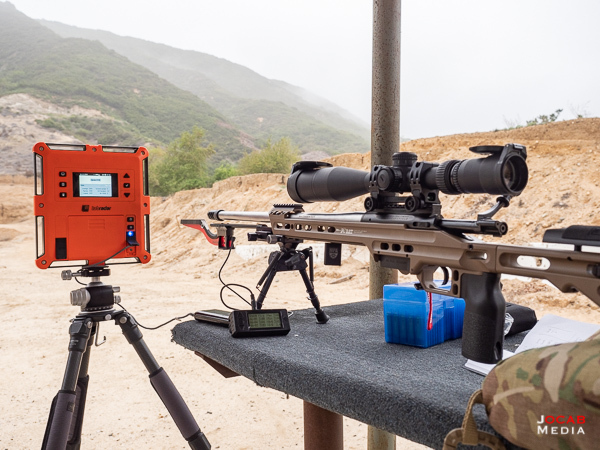 I ended up taking this rig to the range and put it to the test along with the LabRadar, as I experimented with Alliant Reloder 16 (RL16) in 6mm Creedmoor with Berger Bullets 6mm 105gr Hybrid Target in Alpha Munitions 6mm Creedmoor SRP brass (with CCI BR4 primers). Full disclosure: I did not read the manual in depth before going to the range. I decided to wing it. That being said, the first couple of shots with the MagnetoSpeed did not detect. I then walked through the settings on the MagnetoSpeed display and discovered there was indeed a sensitivity setting. I decided to max out the sensitivity to 11 (on a scale from 1 to 11). This resulted in the bullets to finally start detecting. During the testing of the loads, the MagnetoSpeed threw two very obvious miscalculated readings of over 4000 fps. The first time it happened, I simply disregarded it. The second time it happened (maybe 6 shots later), I dialed the sensitivity down to 9 (on a scale of 11). The misreadings did not occur again during the range session. As you can see in the above photos and in Episode #055 of my Range VLOG series, I also had the LabRadar recording chronograph data at the same time in order to verify the MagnetoSpeed. What I found is that the MagnetoSpeed readings were consistently 10-15 fps faster than the LabRadar. As you can see in the above chart, the average difference between the MagnetoSpeed and LabRadar is about 11 fps. The standard deviation of the differences is 1.21 fps, while the extreme spread of the differences is 5 fps. While the LabRadar reading different than the MagnetoSpeed might be a cause for concern, the fact that it is very consistent in the amount of difference means that both units are in themselves consistent. But which one is the correct velocity? This is where it might actually lend itself to the MagnetoSpeed being the ‘true’ muzzle velocity since it is literally reading the bullet as it passes over the electromagnetic sensors. But the LabRadar is basing the muzzle velocity on the sound of the muzzle blast and when the bullet passes into the radar beam. 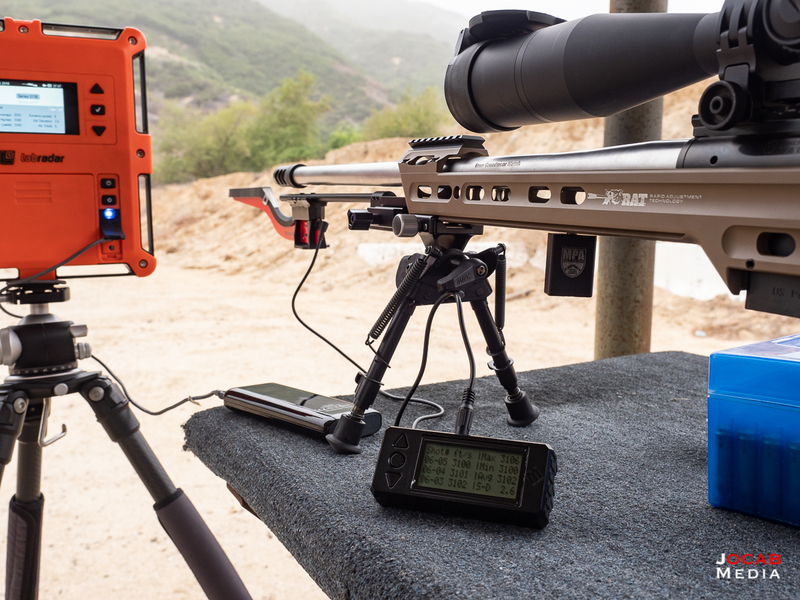 Note: While in doppler mode, the V0 velocity reading is actually based on when the bullet passes into the beam, where as in trigger mode, the V0 velocity is based on the blast. Assuming I were in doppler mode while in testing, it would make sense that the LabRadar readings are slower. But that was not the case during the testing. I was in trigger mode. Given this, it is possible that the LabRadar is actually skewed slower than the MagnetoSpeed based on the internal timing of when the microphone picks up the blast and to when it reads the pass of the round. Of course, there is the fact that I had the sensitivity of the MagnetoSpeed very high on the 1 to 11 scale. Reading the manual after the fact, the manual indicates that the default setting of 2 is actually considering normal, and 10 or 11 are only for extreme cases. Since 2 did not work for me, it is most likely tied to the fact that the MagnetoSpeed bayonet is not close enough to the bore line. Based on the photos, it is obvious that the MPA MagnetoSpeed Mount is canting away from the bore line at a slight angle. How much this is affecting the performance of the MagnetoSpeed is debatable. But it could be an issue. That being said, the highly sensitive settings most likely caused the abnormal 4,000+ fps readings during the test, but are unlikely to cause the 11 fps skew from the LabRadar. My hypothesis is that the LabRadar is simply reading lower by virtue of the timing/algorithm of the software. But the fact that the difference in the MagnetoSpeed and LabRadar readings is so consistent that both chronographs are accurate. Then there is the internal debate on whether these devices should be ‘calibrated’ or otherwise referenced against a known velocity. Of course, this would require very high grade industry equipment to reference against. These devices are to be considered consumer grade devices, after all. So a 10 fps skew is probably well within quality control standards. Anyway, this whole experiment is not meant to be a comparison between the LabRadar and the Magnetospeed. I still stand by the LabRadar. In my opinion, it is hands down the most versatile and simplest chronographs to set up. It works for all firearms types and with the external microphone accessory, will work with suppressed firearms. Rather, I simply wanted to see how well a chassis mounted MagnetoSpeed functions. I actually found it to be more cumbersome to setup than I expected. 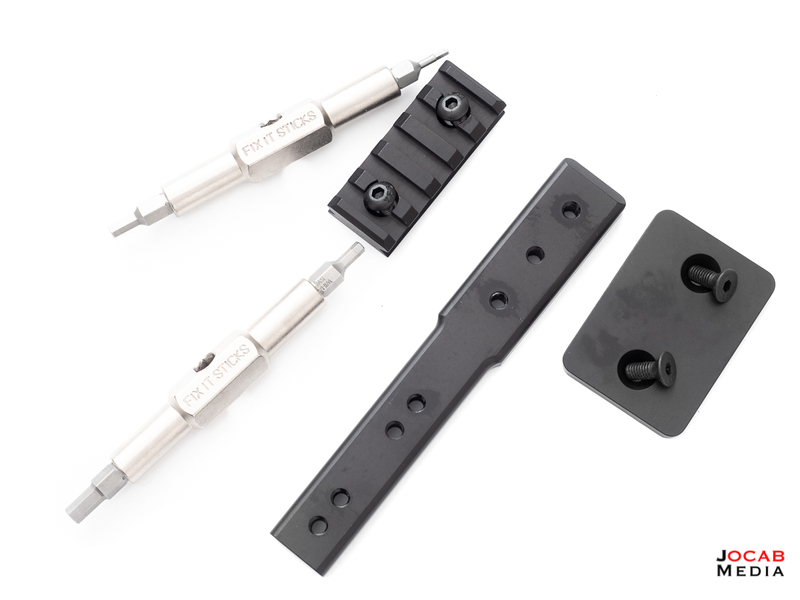 For one, the MagnetoSpeed bayonet is secured to the MPA MagnetoSpeed mount using the same small hex screws used to mount the spacers. I have to attach the bayonet to the MPA mount every range session where I will be using the MagnetoSpeed. Of course, I could just leave the bayonet attached to the MPA mount all the time, but this will be less than ideal to have to transport to and from the range considering the length of the combined items. 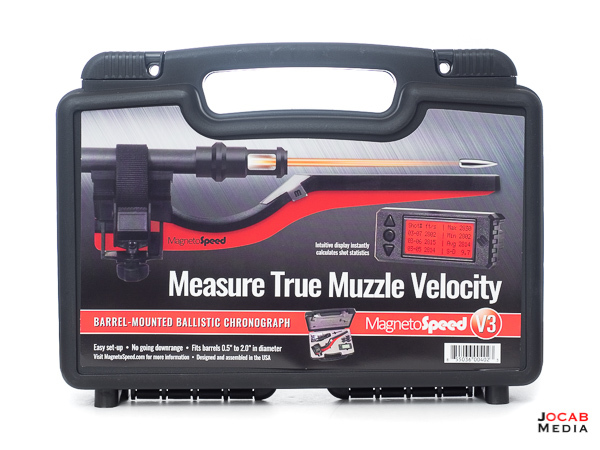 Also, the fact that the MPA MagnetoSpeed does not run truly perpendicular to the bore is disconcerting. So far, the MagnetoSpeed is reading the rounds. But I ended up using an unused muzzle brake shim from a shim kit I have in my AR-15 parts box and put it on the rear screw of the Spigot Mount and RAT / Arca-Swiss adapter plate. 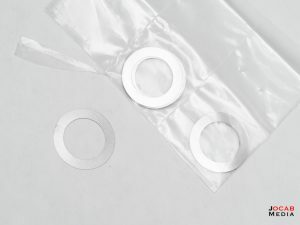 This actually helped level out the MagnetoSpeed, although, I may try the thicker shim I have in my AR-15 parts box to see if levels it out more. 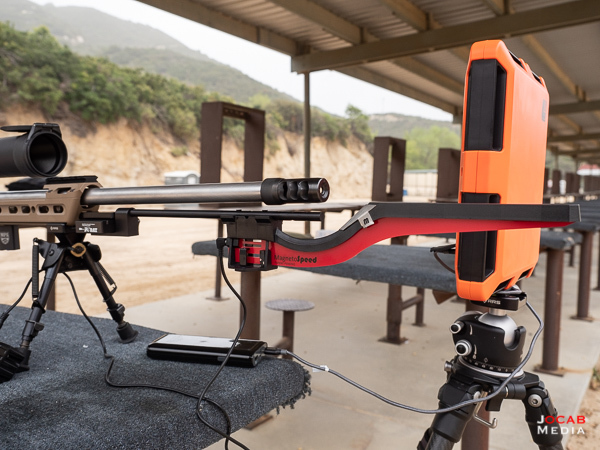 My rifle on the MPA BA Competition Chassis with the MagnetoSpeed attached is actually easy to move around with, but it is obviously not the sort of setup you would use in a run-and-gun precision rifle format (e.g. PRS-style). But this is definitely a great setup for a prone match such as NRA F-Class. Using the MagnetoSpeed itself is fairly self-explanatory, but I discovered a couple of quirks immediately. For one, the active series of shots displayed can only show either SD or ES, not both at the same time. If you archive the active series (which writes it to a file on the memory card), you can then view the archived data, and page through until you get to that series to get the average velocity, SD, and ES on one screen. Unfortunately, if you are at the range and have lots of archived series on the memory card, you will have to page down for a while to get to the most recent series. As mentioned in the previous paragraph, archiving the series writes it to the memory card. If you forget to archive a series, it will not be written to the card. Thankfully, that series still remains on the internal memory of the display unit even while it is off. Granted, I am not sure if the active series in the internal memory will survive a battery removal (or a dead battery). So it would be prudent to archive a series as soon as it is completed so you don’t forget and possibly lose data. 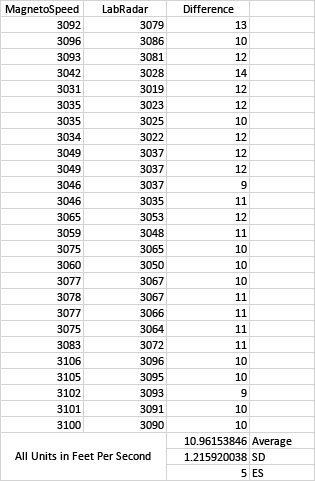 With regards to the data being written to the memory card, all series are written to a single file (LOG.CSV). The unit will not create a new file and will always write out to LOG.CSV. This is a polar opposite to the LabRadar, which creates a new directory for each series, each with its own individual CSV (comma-separated values) file. Some will find a single file more easier to work with, but I prefer having each series in an individual file for the sake of file integrity. If one CSV file were to become corrupted for some reason, you will only lose that series, and not any other one. Then of course, there is that nuance with the 4000+ fps anomalous readings, which I will have to mitigate through proper sensitivity settings. To put this into perspective, the LabRadar retails for $560. Do I recommend this particular MagnetoSpeed setup? I can recommend the MagnetoSpeed itself. The V3 appears to be a good chronograph and if I were on a budget, I would probably get a MagnetoSpeed Sporter if not a MagnetoSpeed V3. Granted, if you are willing to shell out for a LabRadar, definitely go LabRadar. As far as this platform specific MPA chassis mounted MagnetoSpeed solution, I think it is way too niche for most shooters. 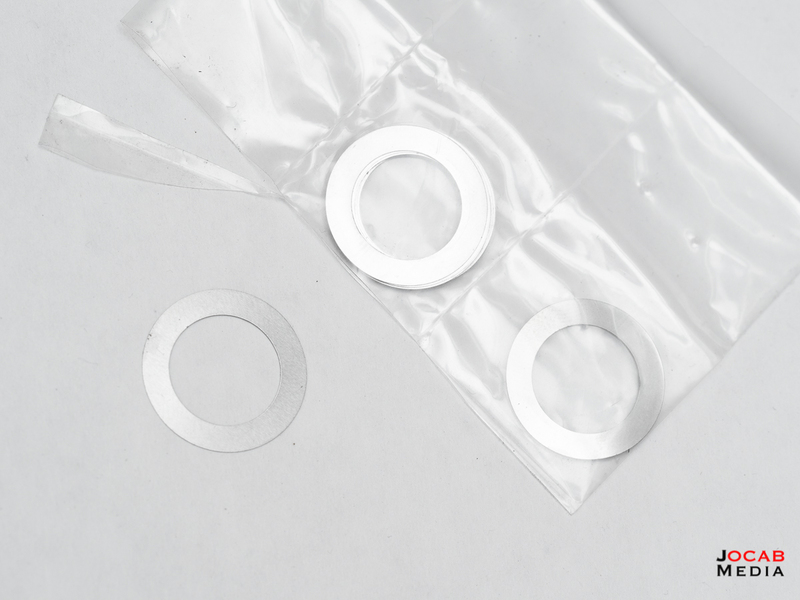 It works well enough and would be great for scenarios or formats where the shooting is relatively stationary (e.g. bench or prone), and when knowing muzzle velocity for every shot is critical (e.g. extreme long range). 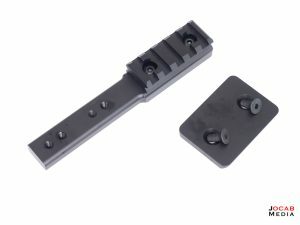 There is one other relatively well-known MagnetoSpeed chassis mount made by MK Machining. 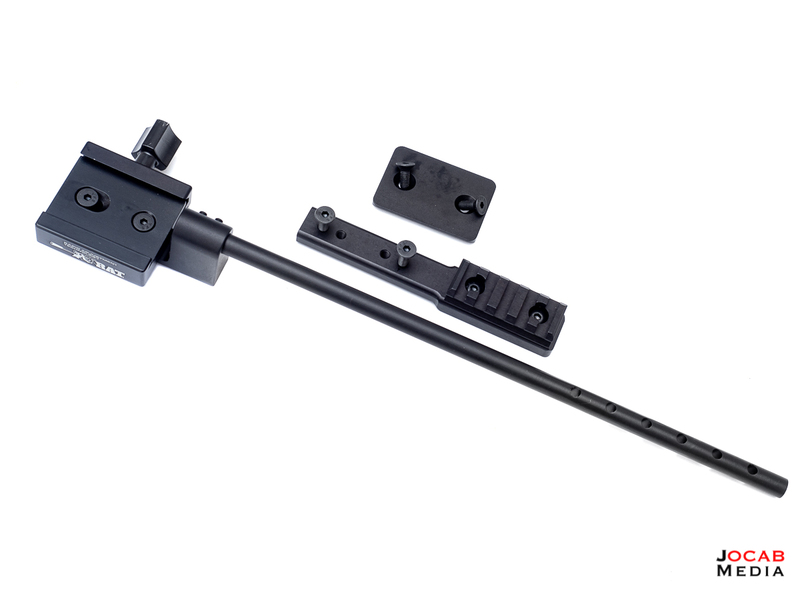 It will attach to Picatinny MIL-STD-1913 and should work with any rifle with a Picatinny rail, specifically side rails, since the top rail would obscure the scope/sights, and the bottom rail is usually occupied for the bipod/rest. I may decide to try this mount out of curiosity (translation: for fun) in the near future to see how well this one works. 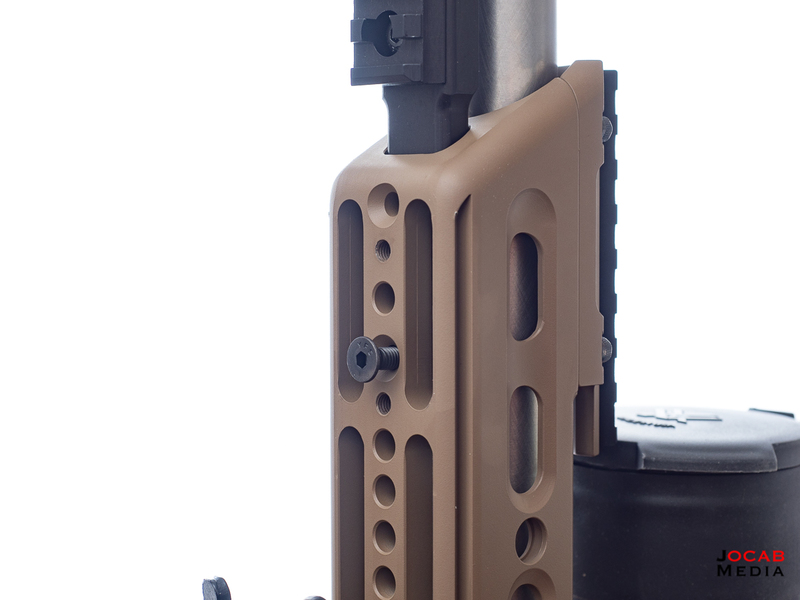 Of course, I will have to acquire side Picatinny rails for my MPA chassis, but this means I can also use a chassis mounted MagnetoSpeed with my ATAICS, AR-15, and other rifles that can run a side Picatinny rail. 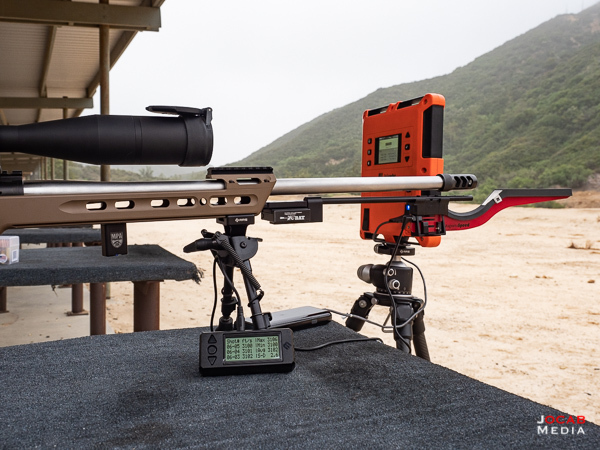 Anyway, if you are in the market for a chronograph, the MagnetoSpeed is definitely a viable option (while I do prefer the LabRadar), but the chassis mounting accessories may be more expensive that it is worth, particularly when you have to retrofit multiple rifles. The overall cost to benefit ratio is all up to the individual user. Would love to see you do a post-range day “clean up” write-up. What you clean after a day at the range from gear to firearms, what you use and why, and even into detail on how far you break the arms down to clean them. Would be an interesting benchmark for a few of us I would guess. Great job with these posts regardless! Well, I actually changed my stance on post-range clean up. I used to clean my guns after every range session, and back in the day, would even clean up at the range. Now I actually do not clean guns post-range session depending on the shooting conditions. Unless I shot in the rain or humid conditions, I won’t clean now. Dusty conditions (which is most of the time), I’ll just do a wipe down of the exterior. 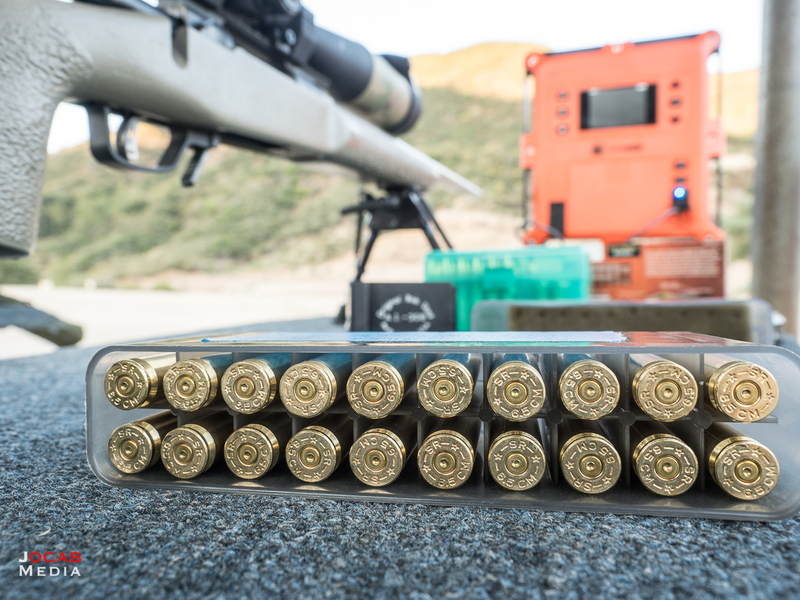 For a precision long gun, I will clean every couple of hundred rounds or so, simply to manage the clean bore / fouled bore first shot deviation. But I will consider doing some sort of write-up on my post-range ideology at the present. Jonathan, you can borrow my MK Machining mount if you would like to give it a try. I was rather disappointed with it, the Wiser Precision mount looks much better.